You probably know that you can read PDF documents on your iPad, but did you know that you can also save PDF files to the iBooks app on your iPad? This is useful for saving free ebooks in PDF file format from websites like Open Library. You also can save anything from bank statements and college course syllabi to scanned documents and tenant agreements. It's not a stretch to say that your iPad could become a portable document management system! This week Apple released iOS 5.1.1, the newest version of the operating system for iPads, iPhones, and iPod Touch devices. 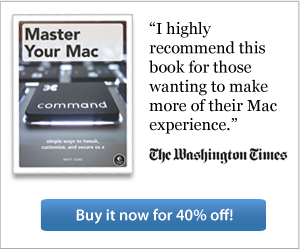 You used to have to connect to a computer with iTunes to install updates, but not anymore. With the "over-the-air" update feature built into iOS, you can use your iPad to download and install the iOS updates while connected to a wireless network. This guide will show you how to update your iPad's iOS software wirelessly using the over-the-air update feature. As someone who writes for a living, I need to be able to type fast and accurately. That's just not possible with the iPad's Qwerty keyboard. I initially thought the built-in keyboard would work, and that it was just a matter of training myself to use it. But as time went on, I realized that the keyboard was only large enough to fool me into thinking I could type with two hands. For me, using the iPad's virtual keyboard will never be as easy as using a physical one. 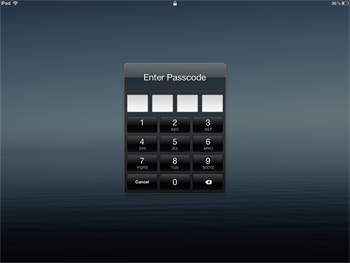 Did you know that you can enable password protection and hardware encryption on your iPad? It's an easy and effective way to protect your private data from prying eyes. After you enable password protection, users will have to enter a password to unlock the iPad or access certain iOS system settings, as shown below. Last weekend I did something I had never done before: I purchased an iPad for the first time. The process of setting up a new iPad is relatively straightforward, but some of the options can be confusing, especially if you're new to iOS. (For those who don't know, iOS is the name of the operating system that runs on the iPad).